It was exactly a year that I submitted my resignation to my manager and saying goodbye to my career and a job that was once rewarding and challenging; and walking away from an environment where I received good support, teamwork and one where backstabbing and bickering was not the norm. When I looked back to the good old days, I could still vividly remember how I had to rush in to the office on time to ensure that all forex rates are updated, up and running; and getting ready to go on airs for the morning radio session with the lively DJs. This was how I started my every mornings, a year ago. It took me a bunch of courage and determination to finally arrive at my decision of quitting the job. A long discussion about this decision with my husband never even happened. He had long expressively supported the idea of having me quit my job so that I can spend some quality time on myself, with my two kids and of course, on improving my health from the ravage of Rheumatoid Arthritis (RA). Today, a year after that resignation, I was glad that I made that decision. I never regretted it (even though many of my colleagues still thought that it was such a pity that I resigned from such a financially rewarding career). This decision that I made was my first commitment towards taking the first step into the unknowns – a leap of faith. I held onto such faith that I shall be guided along this path that I was about to walk that along the way, as long as I ask, it will be given to me, as long as I seek, and I shall find, and if I knock, it shall be opened to me. True enough, a year had passed with more achievements than I could possibly imagined. These achievements are not measurable by monetary terms but by levels of satisfaction, happiness, well-beings, and ultimately, by my transformation in terms of my perceptions towards life purposes, values, appreciation of events and things that happened as they are, and enjoying life as is. RA entered my life at around 3 years ago. At my first diagnosis, the degeneration had already left its marks on my right wrist. Persistent bad swelling, inflammation and chronic burning sensation that never left my wrist. It was not long before I lost my full range of motion on that wrist. With the loss of range of movement, I noticed that my grip strength became weaker and gradually, I found that I could not lift up ‘heavy’ things. My husband worriedly looked me into my eyes and gently broke out to me that the things are not heavy at all. He showed me the ease with which he could lift it up. I was scared out of my wits. I knew that my body was going very wrong. 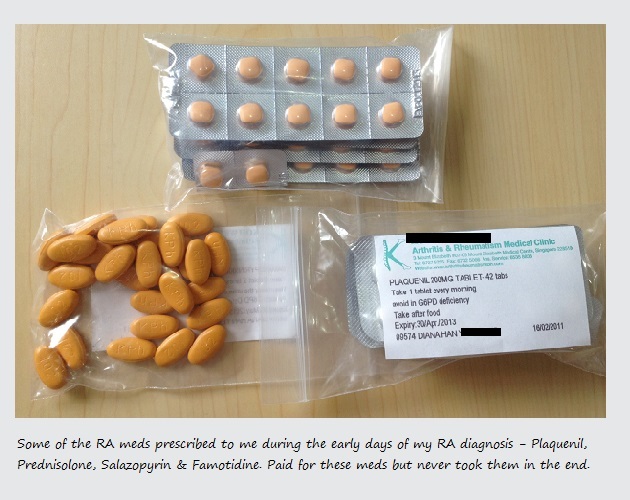 The rheumatologist was quick to prescribe a number of RA medicines (see below). I was given some booklets to read up and understand the side effects that go with these medicines. I was startled. My stomach tied in knots whenever I thought about the lists of side effects and I could not help but pondering if I would be struck with another or more serious illnesses before the RA settled. I returned home, extremely sad and disappointed. I never touch those pills. I reasoned that I’d find another ways out, the natural ways. The burning pains and sensations ensued, day and night. I endured them, all day long. Whenever the pain creep up, I pushed my thoughts through them, by keeping myself busy and my thoughts away from my body. Yes, I was running away from the pains but I was not avoiding my health issues. I began my search around this small country as to where I can seek holistic or alternative help, but there was absolutely none to my rescue. 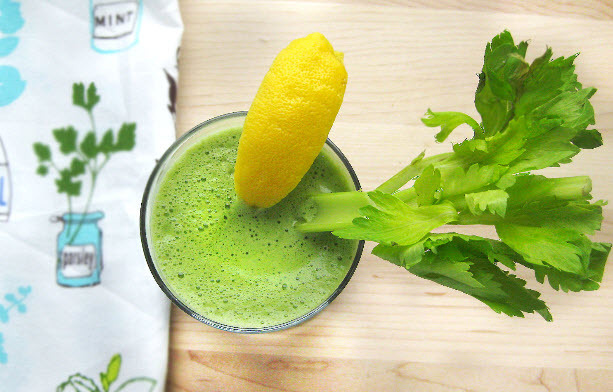 My husband, with a little knowledge of health-care and wellness through his immersion with Tony Robbin’s Unleash the Power Within, provided me with a few pointers on the concepts of going green and the power of alkalinity, as well as diet. So, we began our own exploratory works. 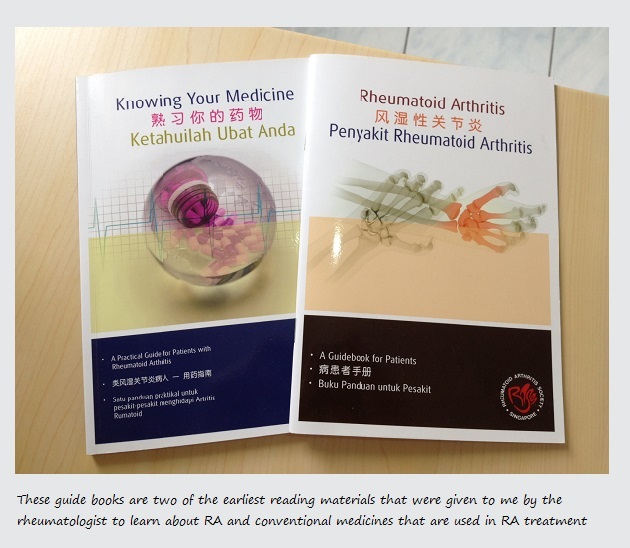 It was probably the way I was brought up with respect to total trust for the conventional medical health care system that I did not exactly know where on the Internet should I be seeking for information on holistic or alternative medicines for RA. To ensure that I was not all alone in my fight against RA, my husband decided to join me in my dietary change. We started out by removing dairy and gluten in our diet, and added more vegetables, fruits and fish oil to our nutrition. For the pain, I massaged nutmeg oil on the painful joint areas and took Epsom salt baths few times a week. I also heated up cabbage which supposedly release sulfur and applied on my wrists, and on top of that, I added potato skin juice to my regimen. These did not help much. My pain was still at an intensity level of 7 on a 1 to 10 scale. The pain migrated. While my right wrist was still feeling a pain of 7, my left wrist also began to feel discomfort and a sensation. That was only 2 or 3 months into the moment of having the first consistent pain on the right wrist. The progression was not slowed at all. Again, not long before the feeling of the first sensation on my left wrist, the burning pain set in. I was too stubborn to allow myself to swallow any pills at that time, and regrettably, the pain became so chronic and so persistent that I soon lost the full range of motion on my left wrist as well. RA nodules are so apparent on both of my wrists even till today. Physically, I was already badly strained by the constant pain that never felt tired of torturing me. Emotionally, the pain and inflammation fed itself into a feedback loop that set me into a cycle of negative emotions of feeling tired, feeling stuck, worthless, depressed, pathetic, burdensome, alone and a host of other emotions, probably also suicidal in the worst of my time. I felt lethargic and so fatigued after an 8am-to-6pm work that I would plunge right into bed and sleep for an hour before I could manage to drag myself up for a shower and a dinner afterwards. There was no time basically for anyone else. I had no time for anyone else because I would lock myself up in my self-contained wall of self criticism and judgment, resentment and grief of this unfairness; and walked away from anyone who tried to pretend that they understood or suggest remedies that apparently showed that they did not get it at all. I lost count of the number of times I cried myself to sleep at night. Once I passed through the five phases of the grief cycle: denial, anger, bargaining, depression and finally acceptance, I pulled myself together and decided to try push my limits up another notches via altering and testing different diets. There bound to be something that will work. It is all about trials and errors and about finding the success recipe. 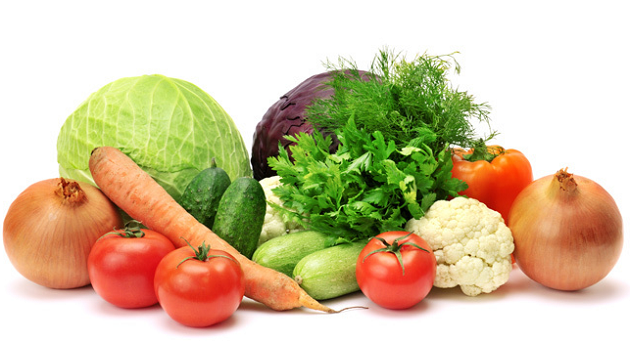 In addition to removal of dairy and wheat, I eliminated meat, rice, fruits, sugar, processed foods, nuts, and so forth in a gradual process and finally, found reliefs with having just green vegetables in soup or steam vegetables. The only garnishing I used with my dishes is the pink Himalayan salt. My pain level dropped from a 7 to a 2 or 3. For my three meals every day afterwards, I only take these vegetables (steam/soup) and this lasted me two or three months max. I was finally pregnant again. My RA went into full remission throughout my pregnancy. The only medicine I was prescribed for my RA during the pregnancy was low dose prednisone, which was only to be used if needed. I only had a short flare once or twice throughout the 9 months and that was all. I enjoyed this honeymoon period with my favourite foods again. No dietary restrictions whatsoever. My honeymoon ended fairly quick after my delivery of my youngest child in November 2011. The RA flare-ups kicked in with a full vengence within a month following the delivery. I’d tried to manage my confinement with careful foods selection such as avoidance of red meats, alcohol, wheat, etc but it was totally futile. The pain became unbearable with each passing day. I was lucky to have a three months maternity leave because at least, at that time of the return of the flare ups, I was not subject to external stress from work. Having to care for a baby with RA and two hands that could not do much had mentally put me under undue stress. On the intensity level, I would rate it an 8. Emotionally, I was stressed because by the end of my 1-month confinement when the RA flare-up kicked in, I could not even hold up my baby. I stopped breastfeeding because I recognised that I needed the help of the steroid. Whilst the doctor claimed that very little of the steroid will be passed through the breast milk to the baby, I’d decided not to risk my baby to any exposure to any residuals of the drug that may leak into the breast milk despite that safety claim. Maybe I was over-suspicious, but I decided to listen to my inner voice against it. I returned to work in February 2012. My health deteriorated badly therefrom. Work was busier than ever and every day, I came home later than the day before. Sky was bright when I stepped out of the house and dark when I returned home. Life was fatigue. The fatigue did not end after work. My eldest daughter had serious allergies issues that we need to deal with and my youngest son needed nurture and feeding every 4 hours (he had big appetite). When was the last time that I could sleep through the night, deep and undisturbed? Diet was not quite taken care of either. I guessed these accumulated stress was breaking my health and propelled RA to its full potentials. Before the remission, the pains were only restricted to both my wrists. Following the flare ups, the pains migrated. Both of the wrists were burning all the time and the knee (could not quite remember which knee) also felt the effect of RA. The morning stiffness became a lot worse than before. It took some 30 minutes for the stiffness to dissipate and often, with the help of my TDP lamp. And soon, my right foot swelled up very badly that walking became a chore. I hardly wanted to move my body because it hurt when I walked even for a few foot steps. The edema left a dent on my skin for about 8 seconds when I pressed it with my finger, before it slowly filled back in again. My seating arrangement in the office was changed when I returned to work from my maternity. I was seated right underneath the air-conditioning unit. It was so freezing cold that by the end of the day, my hands were totally icy cold and so stiff that they hurt so badly. I supposed I had enough after months of suffering from all of these. And also the realization that if I did not take an action now to improve my health outlook, when should I be taking an action? I evaluated that if I continue with my daily 8am-to-7pm job, I would never be able to have the time to do whatever I need to do to improve my health; that there is NEVER going to be a better time of taking action than NOW; that if I delay taking actions, my condition will be far worse off and it may be even harder to bring myself back to homeostasis/balance again; and that I can really take some time to have a break (probably for a year) and evaluate the other options that I may have when I have recovered. With these convictions, I resigned. The resignation marked a major milestone in my life. What did people really make out of a resignation like this? Many people did not quite know what I’d been through leading to this resignation. Others were made to believe in all sorts of possible reasons (e.g. being fired, etc) behind that decision. I kept muted about it, still not really confident of letting the whole world know that I’m a sickly person to begin with. Furthermore, who is really going to understand the kinds of suffering of a young 30s having arthritis, and not the usual type of arthritis? Sooner or later, people are going to know and talk about this. I shall not concern myself with this and let the nature take its course. The week following my resignation, I jumped straight into my 11-days juice fasting and proactively researching for alternative treatment modalities. I honestly had high hopes for the fast to ‘cure’ myself of RA because I’d read that it reversed the arthritic affinity of many patients who went on similar fasting program. 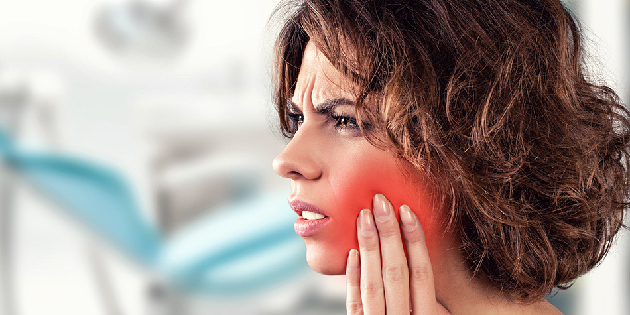 I was a bit disappointed that while I received complete pain relief and subsiding swelling during the duration of that fast, the pain and swell returned quickly after the completion of the program. Disappointment aside, I was however pleased with the results and transformation at the end of the fast. I lost some 8 kgs, recovered my pre-pregnancy weight that I could never achieved before, felt more confident that diet plays a key role in management of RA towards remission and not least, the positive attitude, mental strength, endurance, patience and discipline that I learned through this process prepared me for any endeavours I’m planning to tackle therefrom. The major achievement was the change in the ‘can do’ attitudes and mentality, towards the positive, recalling that I was in the cycle of depression and series of negativity during my struggles with RA and the pain and inflammation. Still feeling painful, I spent a long time online doing research. Dietary role in RA remission is every where and regardless of the credibility of the sources, there must be some truths in the words that tell about dietary-led remission. I began experimenting again with different diets, eliminating different foods from my diet now and then with varying successes. I crossed border to get an ALCAT test done and was surprised to find that the foods items which I consume on a daily basis or most of the times appeared on the list as either highly or mildly allergic. In other words, I knew that I’d to stick to elimination diet and subsequently, a rotation diet. It came a point in time when I was fed up with having so little choices that I could eat from time to time that I began exploring energy medicines and learned techniques that allow me to de-sensitize my allergies or intolerance to foods. It also became apparent to me that I was not really the lucky one who could achieved great reliefs from diet alone. I was honestly jealous of these people. I disconnected myself with other people’s experiences and tuned in to my body more deeply. Considering that the many faces of RA which can be caused by many different factors from food allergies, leaky gut, infectious theory e.g. 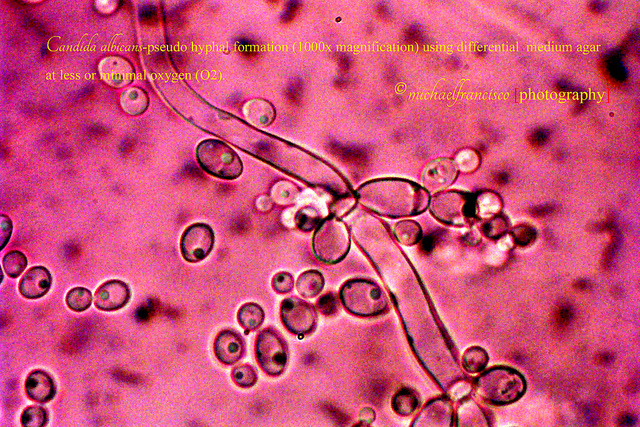 candida, mycoplasmas to accumulated stress from internal or external sources such as stress from life, work, emotional trauma, heavy metal toxicity, I knew that I needed to tackle more than the dietary aspect of the RA. To get to the root, I first comprehended and accepted that emotional trauma from my earlier miscarriage and possibly, the 3 shots of cervical cancer vaccinations triggered the onset of the RA. That said, I needed to work on mind-body connection of that experience of miscarriage which somehow upset my whole immune system to attack myself. I also needed to reduce the toxic load in my body from that vaccinations, from all my earlier childhood or adult vaccinations, from the cosmetics or personal care items I use every day, and from the environments. I began digging deeper into my RA issues and causes, and experiment with a lot more alternative treatment modalities that I can access to with my limited resources. I took the efforts to establish conversations with people with other AI diseases and found out what worked for them and applied them for myself if all those made sense to me. I’d tried coffee enemas, far infrared sauna, amalgam removal, oil pulling heavy metal chelation, epsom salt bath, clay bath, essential oils/aromatherapy, homeopathy, energy medicines (acupuncture, moxibustion, chiropractic, EFT, NAET, Yuen Energetics, etc), exercises (jogging, walking, rebounding, etc), skin brushing, colon cleanse, parasite cleanse, zapping, liver cleanse, nutritional supplementation (krill oil/Omega-3, food based multivitamins and multiminerals, vitamin C, vitamin D, curcumin/turmeric, serrapeptase, grapefruit seed extract, oil of oregano, l-glutamine, bentonite clay, collagen, glucosamine, MSM, chlorella, probiotics, antioxidants, calcium & magnesium, etc), pH8-9 alkalinity water, apple cider vinegar (ACV), and so forth. I reviewed my protocol every three months and altered as required. I continued to research, share and study on all health conditions and not only those specific to RA and began to understand how the puzzle fits together, over time. 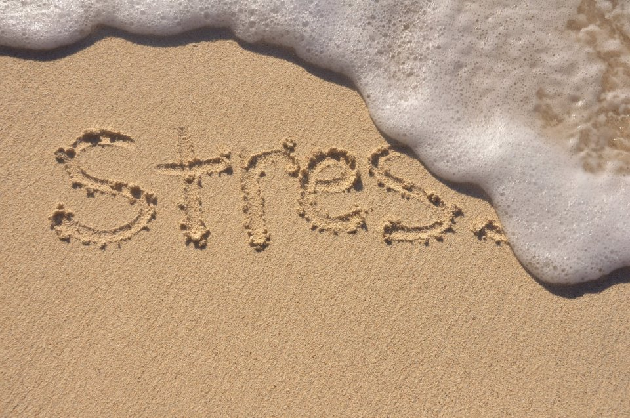 In a duration of about 6 months into my proactive and radical changes in attitudes, mental changes and lifestyle as well as dietary changes, coupled with a significant reduction of stress levels, I began to notice a shift in my health for the better week by week. The initial sign of inflammation and pain that was evident on my knee disappeared first, followed by burning pain and sensation on my wrists which improved drastically, albeit slowly, from the intensity of 8 down to a 2. The swelling on my right foot also totally disappeared in no time. There was still residual pain on my wrists of 1 to 2, sometimes a zero, which also possibly due to the degeneration that was irreversible. The morning stiffness I felt on my two feet, my two hands and wrists as well as my frozen shoulders lifted, initially improving from 15 minutes and down to no stiffness as of writing. The only obvious signs of RA that are left of me are the protruding nodules on both my wrists which have slightly increased their range of motion but not a 100%. I still have difficulties opening the cap of a tightly screwed bottle, or carrying my toddler for longer than 5 minutes. But, in terms of overall wellness, I’m happy to be at where I am today, totally pain free on most days without any drugs involvement. The only downside that was left to address, or rather, the missing piece to my RA puzzle remains with seeking the reason why my blood work has not been showing improvements despite the overall improvement in pain and swelling. I concluded that the residuals or remnants or imprints of the RA within my body and which are also evident in the blood work are telling me that I have more work to do with the mind body spirit connection aspect of the RA. I have to be truthful that I am an amateur in this field and I’m beginning to learn and study more about this now, buying recommended books from Amazon and still awaiting for the shipment. And I do hope that by addressing this addresses the question of why my body is still attached to these residuals and releases any remnants and imprints of it, forever, for good and for definite clinical and natural remission. As for now, I shall not be bothered by the results of the blood work since I’m feeling pain free for that matter. This journey with RA that I’d walked down for the past 1 year was one of the most meaningful paths that I’ve walked throughout my life. It was also the hardest journey that I’d gotten through but as my faith beholds, I always remember that I just need to keep on stepping, even if it means taking one step at a time. The road of life twists and turns and no two directions are ever the same. The road for us is within reach, and eventually, we will still get to the destination. The lessons come from walking the journey ourselves, and not the destination. And with these lessons as the guiding lights, we shall not be afraid of becoming lost because the path back always reveals something new. 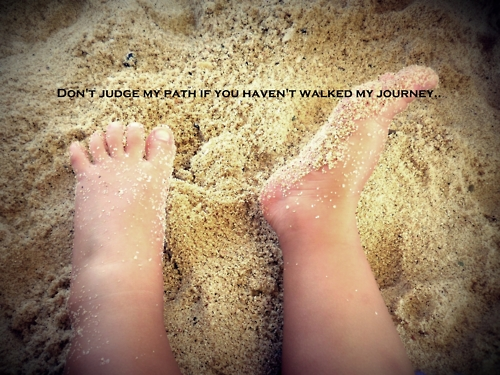 There is no perfect to walk that path. At every given moment, we are absolutely perfect for what is required for our journey. I am a guinea pig to my own experiments, and this is how I learn about my body and what it is capable of coping or dealing. As of writing, I’m working on (myself) with several experiments again and this has been the 3rd week into the series of experimentations and discovery work of knowing my body. I’m not going to reveal just yet but if you are curious about what I’m doing to myself, stay tuned. I’ll unveil them in due course. Everyone has a story of his/her own and I like to hear about your RA journey and all the experiences you have been through and the lessons that you’ve gained through that journey. Your story is compelling as is everyone’s story when dealing with a disease of some sort. I felt your enthusiasm along with your pain as you fought so hard with your year of diagnosis in finding the cure, and I respect and admire all the treatments and tests that you have done. I found it very interesting how you tried to compare issues in your earlier life as to why each one of them may be the reason why this decease was ravishing your body so aggressively. I guess this is where my mind went searching. You see I have been fighting JRA (Juvenile Rheumatoid Arthritis) at the early diagnosis of age 2. My mom would tell me stories of how she had to hold me and rock me continuously as a baby as I would not stop crying. This is where I just have never been able to understand how environment, foods, injuries, how at as new born child, can this be the cause and effect? I am now 53 years old, and JRA has certainly shown itself in my body. Since then I have been diagnosed with Osteoporosis and Ankylosing Spondylitis. As soon as I stopped growing I had my first total replaced hips at age 15, 2 weeks apart, both knees at 18, and shoulders at 21, and 22. Since then I have had each hip revised once and both hips again with full re-placements plus bone grafting with one. The Arthritis inflammation had gotten so bad in my spine that my c4, 5, and 6 was pressing against each other. And on my last fall 4 years ago~it caused me to be paralyzed from the neck down for 5 minutes (thank God only 5 minutes!!) so I had 3 disc placed between each one. All my surgeries have been successful other than my last hip done earlier this year~I am having issues with muscle pulls~I’m hoping that will settle itself. I have experimented with many Health products which some have certainly helped me, mostly with energy and I will never give them up. But I can honestly say I have not experimented with foods~Other than when I was 12 years old and that diet was disgusting. I don’t know if I really have the energy or want to do go through what you have tried for the last year. I also secretly deep down inside don’t want to conjure up a possible relapse as has happened to you. You see my pain and flare-ups disappeared when I was around 23 years old. I have been on 3 types of anti-inflammatory pills over the years and the one I am now on is fabulous~Arthrotec. It’s an older medication (I was prescribed it in 1993). Even some family members and friends have given this one a try with awesome results. I try not to think of the side affects although this one isn’t too extreme, as I know without it I will suffer the aches and throbs of this disease. My hands and feet are curled but they don’t hurt. My elbows, wrists and ankles are fused but again they don’t hurt. I have walked with crutches since 12 years as I can not walk without them. I truly believe RA has burned itself out (touch wood) and has left it’s mark~one that right now I can live with~but as I know with the very odd flare-up, it reminds me of those old but gone days, that, I don’t really know what I would do if that debilitating pain came back into my life. This I do not dwell on!! So I take my anti-inflammatory pills and 2 pain pills (Tylenol 3) each day, live a fairly active life with my most amazing husband Myles, who has been my rock for 38 years. He has been the force behind helping me each day live an easier life which has helped me manage daily with this disease. I keep busy working at my own business selling silver Jewelry online. I stay happy and am very positive and grateful for my life (as weird as it may sound) and each day I say the words~I live a happy and healthy pain-free life. When people asked me about my disability, they usually feel so sorry for me, but I tell them not to. I tell them I am glad I got my decease at an early age~as bad as this may sound, there are so many things in my life that I was never able to do and so I never new what it was like to do it. So there-fore I never missed it. Unfortunately your life has changed drastically at an age when life is full, and especially with a new baby and I am so sorry that you are going through this at your age. I was almost at the brink of tears, reading through your struggles with RA since 2 years old; and I couldn’t help but imagine how you lived through those decades with the ravage of RA and being denied of things that other kids were doing. I supposed you’d looked past all of these now, given that you’d achieved so much inner peace with the disease. Since you are hardly at pain, it’s best to keep it that way. I guess some changes to healthier diet won’t be harmful. For RA to occur as early as age of 2, I’d probably suspect the root causes to be more related to vaccines and/or past life karmas (apology if this doesn’t make much sense to you – just my 2c). Like yourself, I’m also grateful that I’ve a great husband who never gives up on me and provides me with as much support as he can possibly manage. I’m wondering what I’d done this life or the former to deserve such a partner of life. I do not feel sorry for myself, not anymore. As I increasingly work on energetics, I’m gaining greater inner peace in the process. I’ve kind of relinquished my attachment to ‘curing’ or become too obsessed with collective consciousness surrounding RA. I’m happy to continue thriving with or without RA, and I hope the same for you too, Cindy. Certainly eating healthy, staying away from certain trigger foods/drinks help a lot to help us maintain our health but doesnt cure RA. I’ve been fortunate in that I am still able to work since diagnosed with RA back in 2006. I have however, been through some horrid pain and barely able to walk at times and have taken off of work because of it. eating healthy ,helps me to continue working. I also ‘get by’ with alternative selfhelps and supplements. i use magnesium powder on a regular basis to help with muscle cramping and to relax pain in the body all over. epsoms salts never did a thing for me but the magnesium does. i use at least a cup. buy it in ‘big’ containers. i am looking into the leaky gut syndrome thing now to help. one thing that is different from you and I. I chose not stop going to a rheumatologist because i refused to take methotrexate or anything other than ibuperofen and an occasional steriod when i was desprate. i did use some percocets and hydrocodone in the past but just like with the steroids, out of desparation. because of high blood pressure problems it is no longer an option anyway so never used any of it long term which is suppose to be worse for your health anyway. i still have to use ibuprofen but will continue to try to not take it. meanwhile i do have some deformaties just starting after all these years. these are in my thumbs and base of my big toes andi also devloped fatty tumors all over my body so it has deformed my ankles. they are all over the body and are my body’s protective measure at the joint areas i noticed or seems to be for this reason. i even have them on my wrists. anyhow, just want to say i enjoyed your article and would like very much to hear more of your journey. 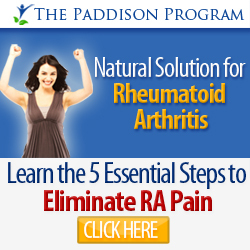 I wrote before that I hope I could access to functional doctor as soon as I was diagnosed with RA. At the time of diagnosis, I made the mistake of believing it can be easily controlled or managed with self healing but I was wrong to presume that RA was an acute issue. It never did occur that the progression could be so swift and aggressive, because the symptoms were never same for any individuals. Mine happened to be moderate to severe RA. It was a steep learning curve for me, one which I paid with expensive price. I love how people share constructively on what treatments/modalities have helped them in their journeys, because the more we learn about the options out there, we’d be convinced that we’d not exhausted all options. Thank you for enjoying my article. I’m hoping to go back to work soon. In reading about your journey, I felt very connected. I was diagnosed with RA a few months after I became a mum (in my 40’s). I’ve tried just about all of what you listed and share very similar philosophies to you. My disabilities are hindering life so severely now though. I am also a solo parent of an active toddler. So reluctantly, I have booked in to see a rheumatologist next month, to consider using some of the drugs I have avoided for two years. Sometimes this journey is not only about faith and hope, but surrender too. It is for me anyway. Thanks for sharing your story Diana. I felt less alone on my journey because of it. I wish you love and ongoing health and freedom. I can feel you, Bonnie. Stay strong, for yourself and for your kid. Keep finding what works for you, with meds; or changing little things in life; or sometimes, just putting yourself first! Take care and if you like to talk, feel free to write to me. I was diagnosed with Ankyolising Spondylotis. These few month after my my wedding , live since very sorrow for me. Actually this morning, I just have my breakout. It was so depressing. I was googling term of ” Low dosage naltroxene” then your site is come out . Thank you for the inspirational story you’ve shared. Has one ever try Low dosage naltroxene ( http://www.lowdosenaltrexone.org/‎ ) ? Mind to share the story? Thank you for this post. My story is very similar to yours. I got my RA two years ago at the age of 34, two months after giving birth to my second child. In between the two kids I also had a miscarriage and a grief which I never really addressed. I am also struggling with diets, finding that I can pretty much only eat vegetables. This is very hard for me as I’m losing weight and don’t have any excess fat to use up. It’s an “interesting” or time consuming journey. Like you, I’d like to quit my day job to focus on healing and maybe finding something different to do on that journey. But that sure is a Brage thing to do, especially with two little children to take care of. How are you doping now? Are you working again? Are you still feeling better? 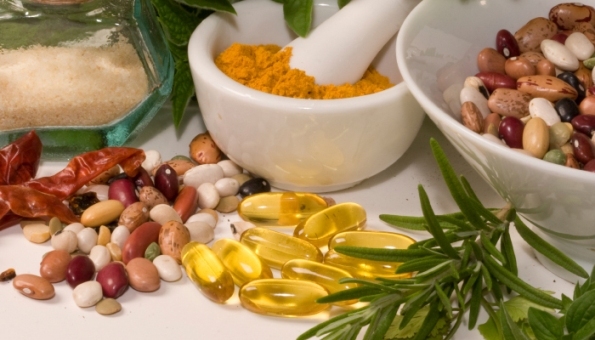 Did you find someone to work with, such as a functional medicine practitioner? Sorry if you’ve already written about this. I just found your website as I was searcing for leaky gut and RA. I read about your story and it resonated with me so much that I had to comment instantly. I will surely read on as your website seems to be very informative and good! I can relate to this story as on who has had RA for 13 years. I’ve also tried so many alternative therapies, supplements, etc. I’d be interested to hear what your current protocol is. Thanks for sharing.